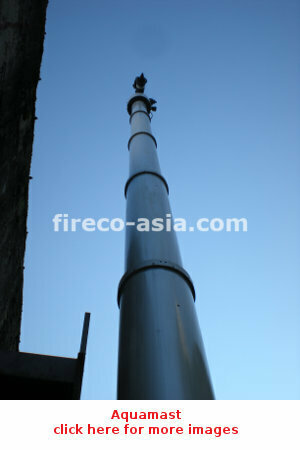 A special designed Pneumatic Telescopic Mast to deliver high volume water / foam stream that will improve Fire Fighting Efficiency and Safety for tall buildings, flats, office blocks & shop lots at hard reach area. Aquamast is easily install on light fire vehicle which could get right to the action scene, even on narrow streets & congested traffic. The elevated water stream through Aquamast delivers a high volume of water & foam direct to the heart of fire. 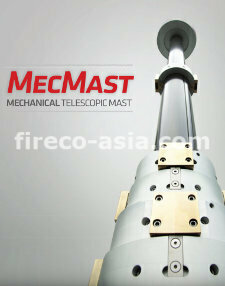 Aquamast, a remotely controlled fire fighting at hazardous location remains the safest option for rescuers.